We examine the top governance, risk, and compliance trends taking shape. First we look at 10 GRC trends developing now and then the focus turns to articles around third party risk, EU whistleblower protections and global policy management. 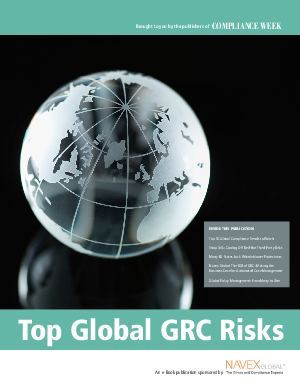 Download this e-Book as your one-stop guide to the top ten global GRC risks, including preventative and remedial measures, a GRC ROI case study and a policy management checklist.